New Vostro. The Vostro 3500 has Intel's latest hardware and Nvidia's GeForce G310M graphic card in a new aluminum case, as well as a few improvements in the configuration to offer in this review. As usual, Dell also offers numerous options besides that. El Dell Vostro 3500 ofrece un rendimiento notable, diseño cuidado y completas opciones de conectividad a un precio más que interesante. Una fantástica alternativa si buscamos un equipo sencillo, económico y versátil. Dell Vostro 3500. Informática accesible para empresas. El Vostro 3500 nos ofrece precisamente esto. Prestaciones de calidad para el entorno ofimático combinado con unos acabados de gran calidad que se traducen en un producto excelente del que disfrutar de nuestro trabajo con una inversión mínima pero sin dejar de lado las ultimas tecnologías en forma de las últimas plataformas de procesadores y las últimas tecnologías integradas. Un producto muy interesante para todas esas empresas que busquen, mas ahora si cabe, la optimización de cada euro que invierten en sistemas informáticos convencionales. Overall the Dell Vostro 3500 offers a lot of bang for the buck. It’s not a fancy laptop, but for under $700 I got a quality built laptop with good performance. The look may be a little bland for some, there’s no glossy finish or fancy design at work here. Another minor complaint is the laptop is not as configurable online at Dell.com as I’d like it to be. However, at the end of the day the fact you get a new Core i3 or i5 processor, aluminum case, standard speedy 7200 RPM hard drive, built-in web-camera, and solid build all for $600 - $1,000 depending on the configuration I would consider the Vostro 3500 a strong buy for students and business workers that are interested in this desktop replacement style laptop. Dell's Vostro 3500 does exactly what it says on the tin. The laptop is a value-for-money mid-range system for small business customers. Although it has few frills, this Vostro meets all a customer's basic requirements, and looks a bit more stylish than the original Vostro models. However, adding to the basic features soon bumps up the price. Dell's mainstream laptop for small business looks good value before you add in the extras. Dell's Vostro 3500 does exactly what it says on the tin. 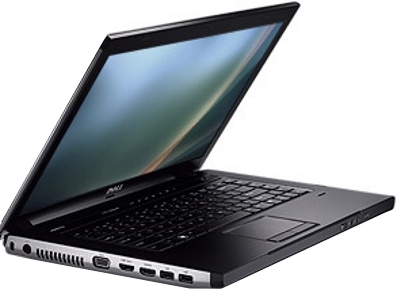 The laptop is a value-for-money mid-range system for small business customers. Although it has few frills, this Vostro meets all a customer's basic requirements, and looks a bit more stylish than the original Vostro models. However, adding to the basic features soon bumps up the price. By replacing the staid design of previous machines with a tough and sleek consumer look, Dell has hugely invigorated its Vostro range. The addition of powerful Intel Core i3 technology and fantastic usability adds enormously to the package, making for another great success for Dell. 72.92%: Esta evaluación es mala. La mayoría de las portátiles son mejor evaluadas. Esta no es una recomendación para compra.